Be the first to hear about their new releases and deals. 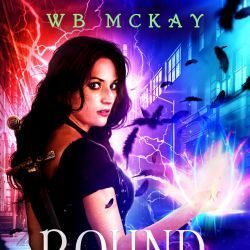 Download the Booksprout app and search for WB McKay today! WB McKay is the pen name of married authors Robert and Faith McKay. Their love of stories brought them together, and they've been writing at each other's side ever since. WB McKay marks the beginning of their true collaboration. They sat down and asked themselves what they couldn't get enough of. The answer was simple. They loved urban fantasy set in a massive universe with room for every creature they could imagine. Throw in a gutsy female lead, a dash of humor, a pinch of romance, and they would eat it up and ask for thirds. With that recipe in mind, they created a universe based around the vibrant and enchantingly dark lives of the fae. They invite you to explore their world in Bound by Faerie, the first of their magical adventures.